DALLAS — April 15, 2019 — UT Southwestern researchers have found that a protein in the body’s innate immune system that responds to gut microbes can suppress the most common type of liver cancer. NLRP12 is a member of the NOD-like family of pattern recognition receptors that help the body sense microbes and other stimuli within the cell to regulate the innate immune response — the body’s first line of defense against infection — in multiple ways. This latest work adds to a growing body of evidence connecting inflammation and the development of tumors in the liver. 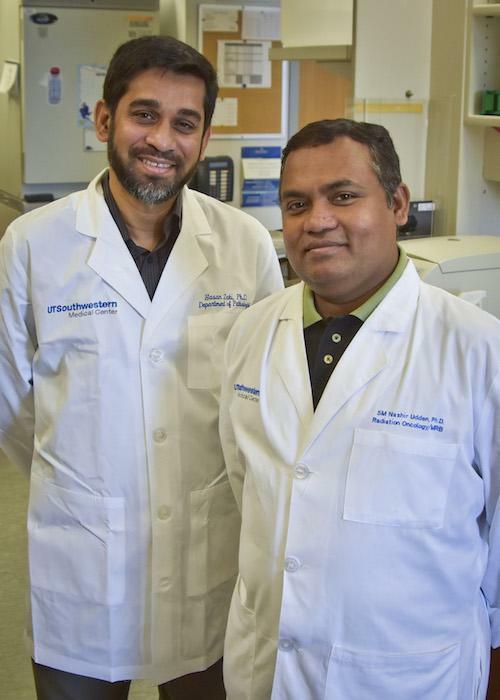 «In this study, we demonstrated that NLRP12 responds to gut microbes and plays a critical role in suppressing a common form of liver cancer,» said Dr. Hasan Zaki, Assistant Professor of Pathology at UT Southwestern and corresponding author of the study. «Our study indicates that NLRP12 acts to suppress liver cancer by reducing inflammation and downregulating the signals involved in tumor progression,» said Dr. Zaki, whose laboratory conducted the experiments on mice and on human cells from liver cancer patients. To understand why this occurred, the researchers looked at the signals sent by tumor cells in mice with and without the Nlrp12 gene. They found that the JNK (c-Jun N-terminal kinase) pathway — previously shown to be associated with liver cancer — is highly active in liver tumors that lack Nlrp12, Dr. Zaki said. The JNK pathway can be activated by a component of bacterial cell walls called lipopolysaccharide (LPS), he said. Both «good» bacteria — which line the gut and aid in digestion — and «bad» pathogenic bacteria — such as the Salmonella or E. coli — can release LPS, Dr. Zaki explained.